There are three varieties of this plant used in medicine. The above is the most common one. 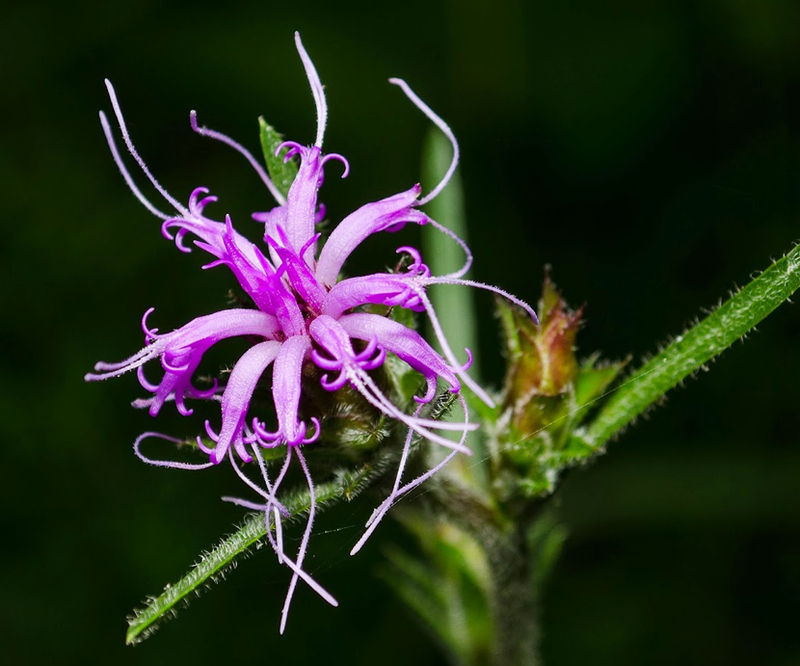 It has a tuberous root, and an erect annual stem from two to five feet high, linear leaves, and flowers sessile, and of bright purple color. Liatris Spicata, or Button Snake Root, is very similar to the above. Liatris Scariosa, or Gay Feather, has a perennial tuberous root, with a stout stem from four to five feet high. The leaves are numerous and lanceolate, lower one on long petioles. Liatris compacta (Torr. & A. Gray) Rydb.